We have heard a lot of them say, "Change begins with YOU!". Not many of them follow, but here is a young star who walks his talk. His motive to change the society provokes many to start too! Read on. Meet Chethan S Hugar, from Tumkur district, Karnataka, a third year Computer Science Engineering student from Sapthagiri College of Engineering , Bangalore, who dreams to become a tech expert and at the same time, bring about a positive change around him. He found a platform (i3) that would help him to achieve all his dreams. One of the social projects that he executed at i3, which was based on environment, impacted a lot of minds to think about protecting the environment in different ways. Let’s see how this idea began to help reduce the harm to the environment. IJ Kavyashree: Could you share about choosing the idea of ‘Carpooling’ as the ‘project of the week’? Chethan: I met one of my guides at i3; She guided me on how to come up with ideas by giving me a simple idea, to write down things that are harming the environment, then come up with solutions for each of them, choose 3-5 good ones out of the list and then select the best one that is most important and is impactful., I sat and wrote a few things, which happened to cause huge problems to our mother nature. I chose vehicular pollution and thought of coming up with the best solution for the same. I heard in radio about how carpooling can help reduce the harm to the environment - they also shared how much of fuel could be saved if people start using public transportation mediums or at least share vehicles while travelling via same routes. 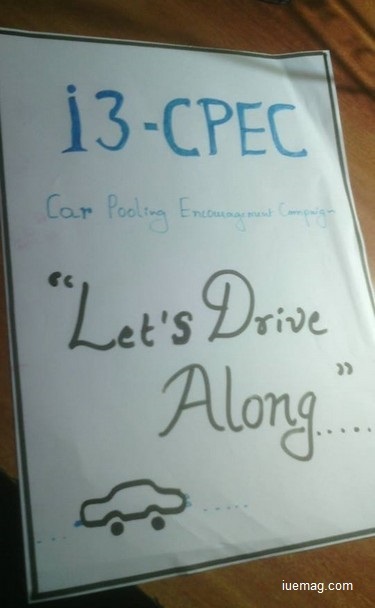 I had a talk with Mr. Kunal sir, my mentor, and selected this project and named it as i3 - CPEC (Car Pool Encouragement Campaign). IJ: How unique is i3 CPEC different from other carpooling awareness initiative? Chethan: i3 CPEC includes direct interaction with people who use cars daily, and inspiring them to follow it , rather than just making advertisements or awareness banners or messages. My volunteers and myself - we went to our college professors and asked, who all really follow it. We got to know that although the concept is known to many, they don’t follow it. So we started talking to them and got them to follow it and also go for public transport! IJ: Could you explain about the execution of the project? Chethan: The first day I was in the thought process of coming up with idea. Although I got a few, I didn’t get any clear solution. 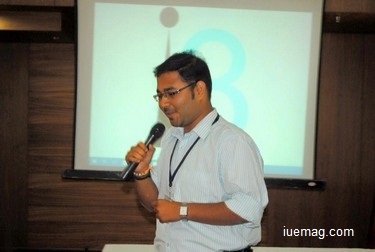 So, I did not wait; The very next day I met my mentors at i3, got to know a few ideas. Planned the whole execution that night itself. Then, I shared about this with my mentors and started approaching my teachers to create awareness and at the same time, started approaching my friends and people around me to volunteer, for creating a bigger impact. I discussed with the volunteers about taking the project to next level, and that was when I got an idea to perform something - talking to people at public places. Chose cubbon park area - a place where we could find a large crowd. 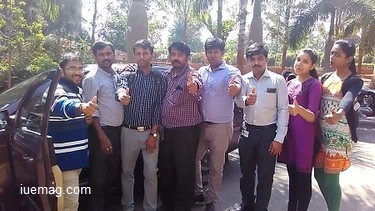 We made our college faculties share cars; we asked them to follow the routine. We got support from other people as well. We recorded videos where they their opinions about carpooling and also got them to pledge to go this way. We made them understand all the benefits it provides. We encouraged them by talking to them, making them happy and building a good relationship with them, to take a stand for a social cause. IJ: What were the most important learnings you took back from each day's execution? Chethan: CPEC was a hard project to do, people wouldn’t change their minds easily. We got to know that, by being eternally optimistic, we can make anyone follow the right path. I learnt time management and also, never give up just because of hesitation to take initiative. I also learnt the power of smile! IJ: What were the biggest challenges you faced during the execution? How did you overcome? Chethan: We faced many negative comments from people and our own friends, but a few volunteers were so enthusiastic to take up CPEC seriously, which made me work harder for it! A few people didn’t really care; they went all alone in their cars and that made us feel very bad. I knew that I shall have an inspiring story to share only when I have such struggles or challenges. That made me continue with belief and also helped me to inspire the volunteers. We were happy that the change began from us! IJ: What inspired you or pushed you to work hard amidst the challenges you happened to face? Chethan: The negative comments from my friends, that no one will do it - this was the first trigger. Second push was by my volunteers who said that we will help you. Then, my teachers’ cooperation , and the ways they enjoyed and encouraged about this project, helped me keep moving. IJ: How were the reactions and responses from people around you? Chethan: The reactions were good because I entered everywhere with a smile! I was humble to the public, my friends and teachers while explaining them. I felt happy and made the surroundings happy as well. I told them that, this was our initiative; they encouraged us and I bid them wishes, which made them happy too. The key was to smile and move. IJ: What more are you plans to contribute to create a better environment? Chethan: I wish to involve more volunteers and wish to make them understand others. Let the change begin from us and spread to the rest! I wish to build good relations with people, sharing things, eventually sharing happiness. I wish to connect with more such people, inspiring and motivating them to take initiatives. IJ: What would be your message to the youth of your age? Chethan: Don’t waste this youth form of Human Life. It’s the stage of maximum productivity. Continue to give your best. It’s okay if someone rejects your idea; an idea or the execution is right only when there are people who also oppose. The world has both negative and positive. If your heart says that you are doing the right thing, go all out for it! While the larger percentage of the world is still thinking about protecting environment in big ways, this young boy who is still a student proves that, it’ the small ideas that we need to implement and once there are many hands joining to execute these small ideas, the impact is bound to turn out big! The world needs more such young minds, who shall together create a change and make this world a better place to live in. Any facts, figures or references stated here are made by the author & don't reflect the endorsement of iU at all times unless otherwise drafted by official staff at iU. This article was first published here on 17th February 2016.